The 2013 River Bandits Baseball Team held their post-season awards banquet this evening at the Napoleon Ohio American Legion Post 300 Hall, including many stories and reminiscing about the wonderfully successful 2013 season. The highlight of the evening was the Ring Ceremony, in which each player and coach received a personalized ring with the River Bandit's logo encrusted with gem stones. 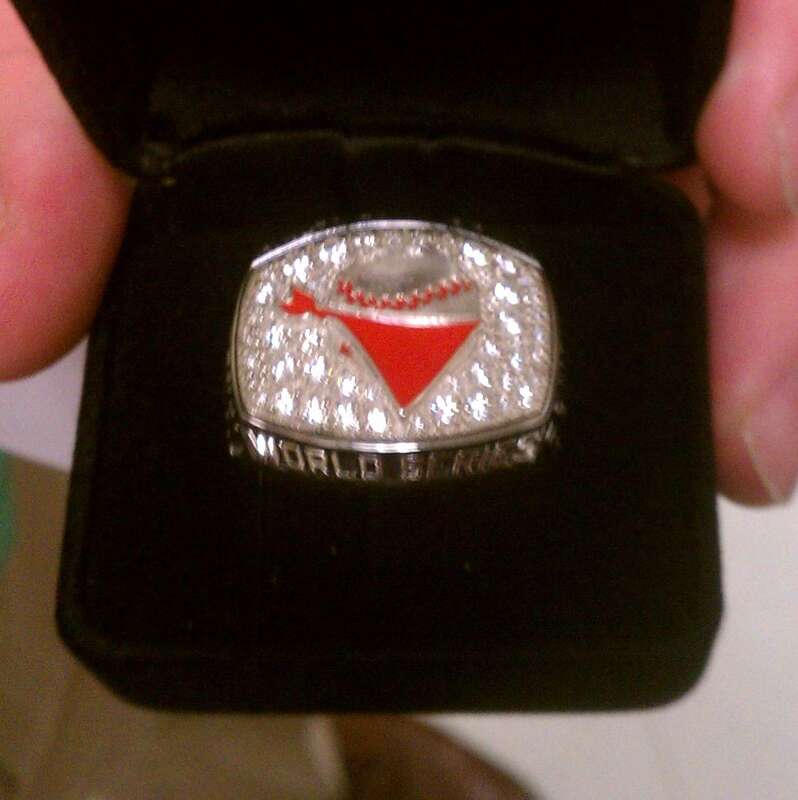 Truly a prized reward each will cherish for a lifetime, with the memories that come from this championship season. 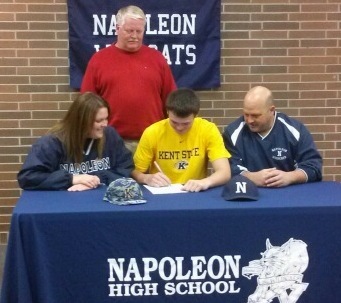 Quote from Kent State's website: Willeman rounds out the early signing class. 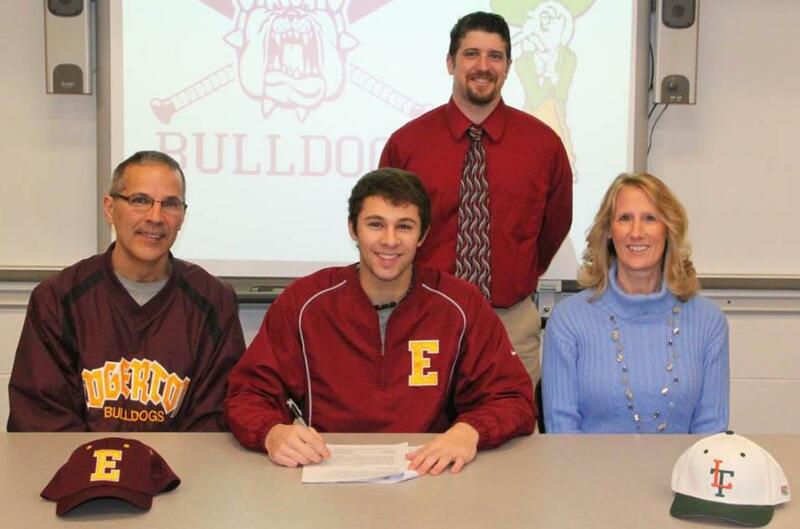 The 6'2" right-hander out of Napoleon High School compiled four wins and 77 strikeouts in 57 innings his junior season. He also helped his summer team, the Napoleon River Bandits, to a 2013 Ohio American League state and regional title while recording eight wins in 98 innings, only allowing 68 hits while striking out 124 batters. "Zach is a very, very dynamic right-handed pitcher who mixes an 87-90MPH fastball with a very hard, upper-70's breaking ball and a developing change," said Duncan. 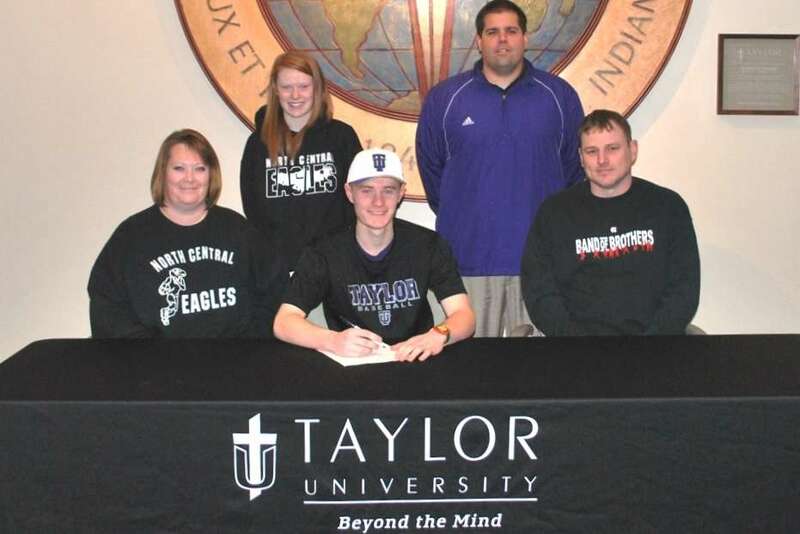 "He is extremely confident and again, a great student. He's one of those guys who gets stronger as the game goes on." Select this link to enjoy the memories of the 2013 Championship Season! This album can also be selected from the Photo Album tab, found on the lower, left menu bar. 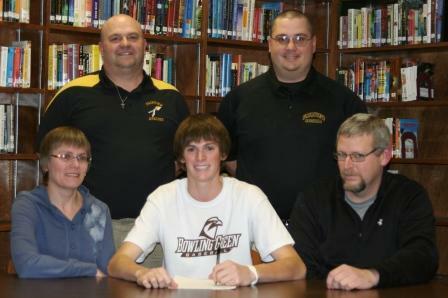 The River Bandit Record Book has been revised to include the 2013 Summer Season. Please select the below link to download. Records his 1st Major League Hit on June 25th, 2013. Patrick Henry graduate and River Bandits Alum, Marc Krauss, playing for the Houston Astros, made his first Major League start Sunday, June 23rd, against the Chicago Cubs in Wrigley Field. Marc, drafted by the Arizona Diamondbacks in 2009, recorded his 1st MLB hit (stand-up double) on Tuesday, June 25th. See the VIDEO. Randy J. Bachman, General Manager of the Napoleon River Bandits, is announcing the Bandit Baseball team will be teaming up with the Susan G. Komen Northwest Ohio Affiliate to host a weekend baseball challenge the last weekend of June. The “Sports for the Cure” event, will be held at Defiance College and Napoleon High School on June 28, 29 and 30th. 7 teams will be participating from 3 states - from Ohio will be the Bandits, Toledo, Beverly Lowell, Sandusky, and Pickerington. Also competing will be Plymouth, In and Adrian, Mi. Gearing up for the event will be Komen items that will be available for purchase. Sports for the Cure t-shirts can be purchased at each site during the weekend. All participating teams will be wearing a special shirt on the SATURDAY of the tournament. 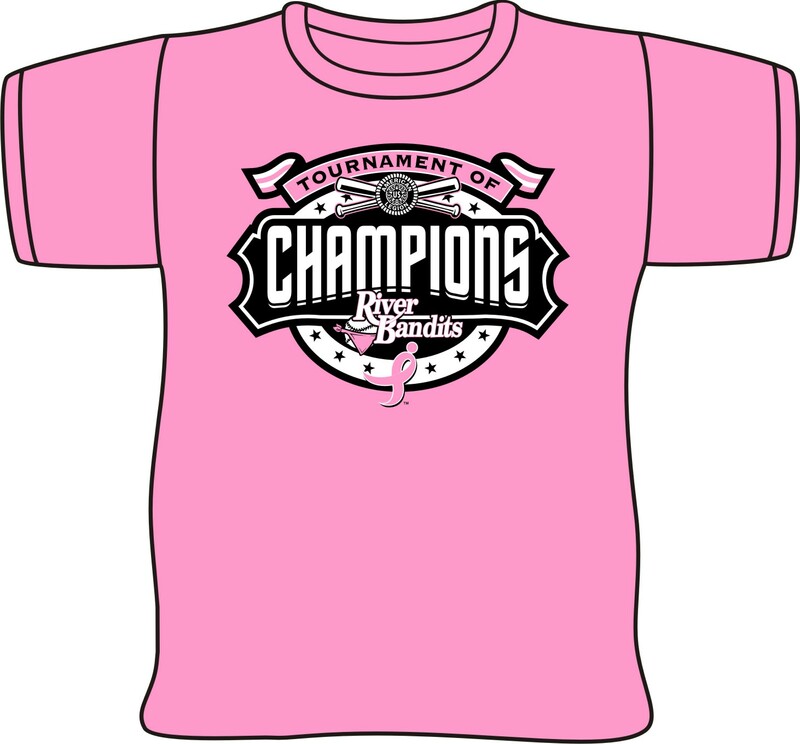 We are asking fans and supporters to purchase a t-shirt to help us raise funds for our local Komen Affiliate. Cost of the t-shirts are $20. Imagine a World without Breast Cancer. Up to 75% of net proceeds generated by the Komen Northwest Affiliate stay in Northwest Ohio and Southwest Michigan. These funds are distributed through grants made to organizations that deliver treatment, services and education throughout the Affiliate’s service area. The remaining 25% goes to the National Susan G. Komen for the Cure Grants Program for energizing science to find the cures. All the money sent to the National organization is designated for research. Komen Northwest Affiliate support is never used to support operations expenses at the National level. 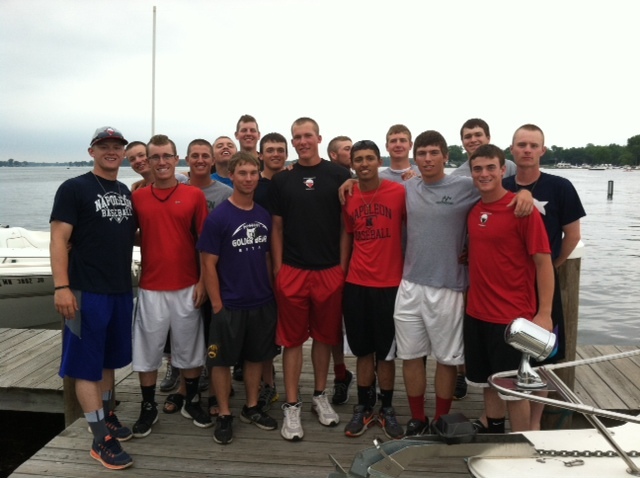 The 2013 RiverBandits take a break to relax between games on the first leg of their trip. 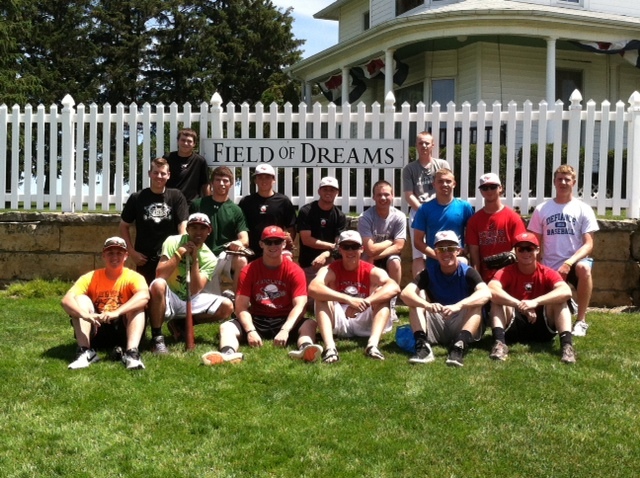 The first is at the The Field of Dreams in Dyersville, Iowa and the 2nd is at Lake Minnetonka, MN. Good Luck, Bandits... Finish Strong! 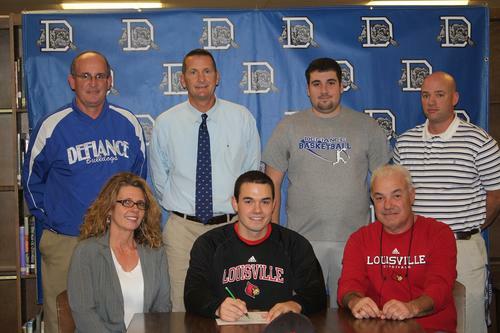 The University of Louisville is host to the Louisville Region, seeded #1. Bowling Green State U. has been paired in the Louisville Region, seeded #4. BGSU will face Louisville in the Friday, May 31st game at 6:00 PM EDT. This is a double-elimination tournament. The ESPN family of networks will be televising all regional games - please consult ESPN.com for schedules, as well as additional team information can be found at http://bgsufalcons.com/index.aspx?path=baseball&tab=baseball and http://www.gocards.com/sports/m-basebl/lou-m-basebl-body.html. Congratulations from the River Bandits, and Good Luck! 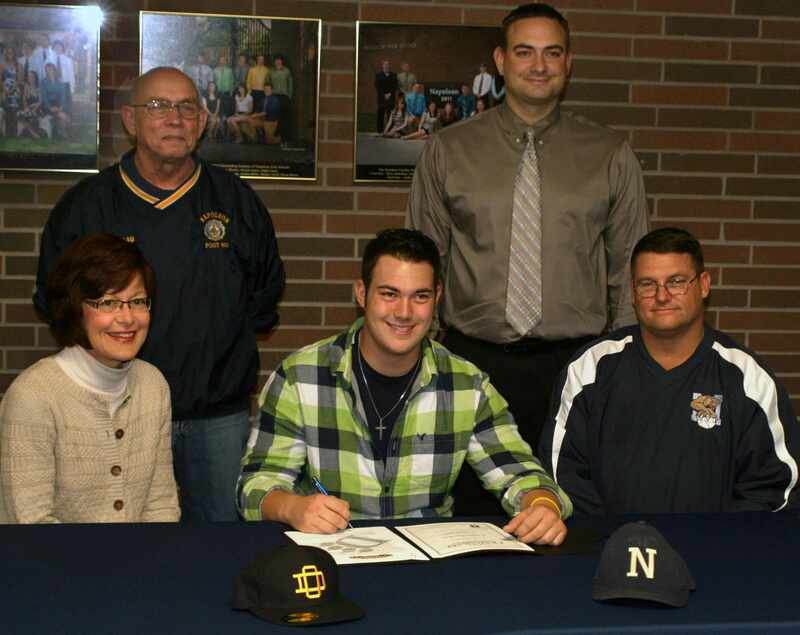 Chad Billingsley - 2013 American Legion Graduate of the Year! 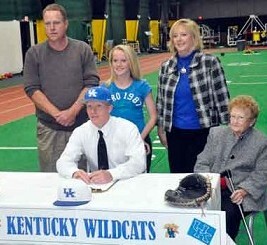 It is with great excitement that I am able to announce Chad Billingsley as the 2013 American Legion Graduate of the Year! Chad is a former player of the Napoleon Post 300 River Bandit Baseball Team and was a member of the 2001 team that made it to the American Legion World Series in Yakima, Washington. I am extremely proud of Chad's accomplishments and for Chad to now be on a list with all of these current and future Hall of Famers (see the below handout) is truly an incredible honor! Chad is the first player ever from Ohio to be selected for this accolade! A special on-field presentation will take place at Dodger Stadium prior to a game next summer. 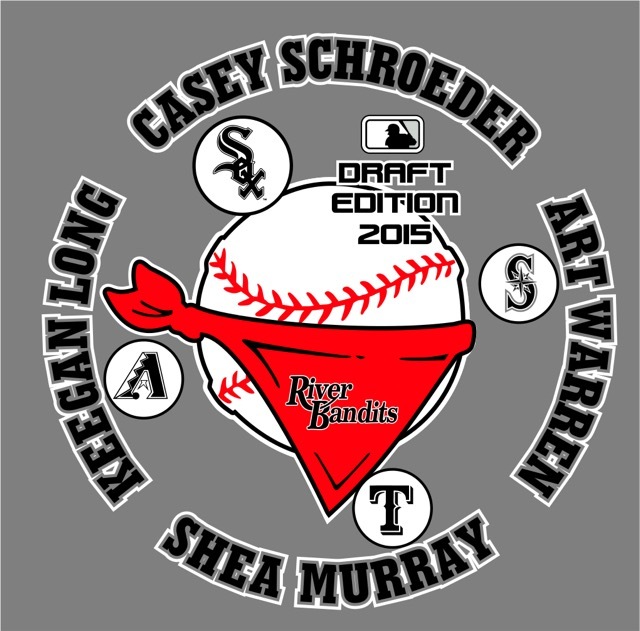 Check out Your 2012 River Bandits Roster under the Summer Roster tab. Also, you can track the latest game results and upcoming schedule at the bottom of the Home page. A huge "Thank you" to our friends at the Crescent-News for supplying the individual player pics and the team pic. 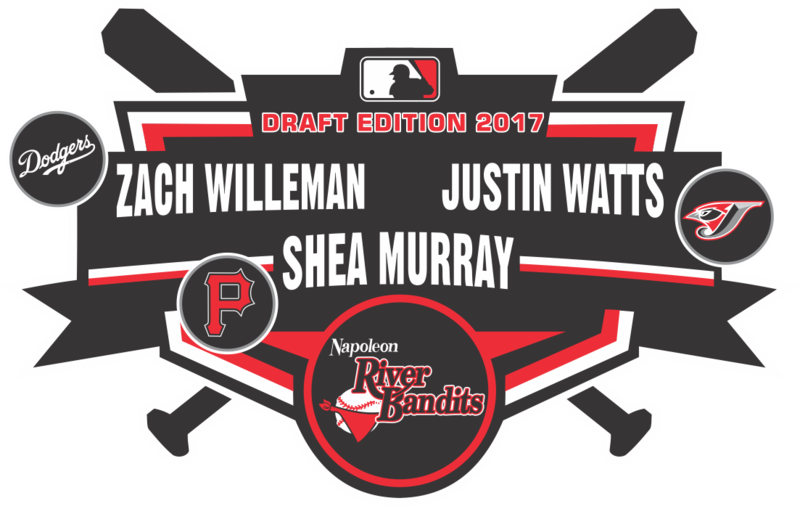 Best of luck, River Bandits!! We start the River Bandits action on May 28th (Memorial Day) with a double-header at Miami University, and go non-stop through July. Come ready to play hard, and continue the River Bandits Tradition! Good luck with the rest of your spring seasons, and we look forward to seeing you soon! The Napoleon River Bandits would like to express our sincere thanks to each of our 2012 Corporate Sponsors for their support. There are 102 Corporate Sponsors that purchased adds on the 2012 Schedule Poster. They can also be reviewed on the River Bandits website, within the "Support Our Sponsors" tab. Please patronize our sponsors, and express your thanks the next time you have the opportunity to do business with them. 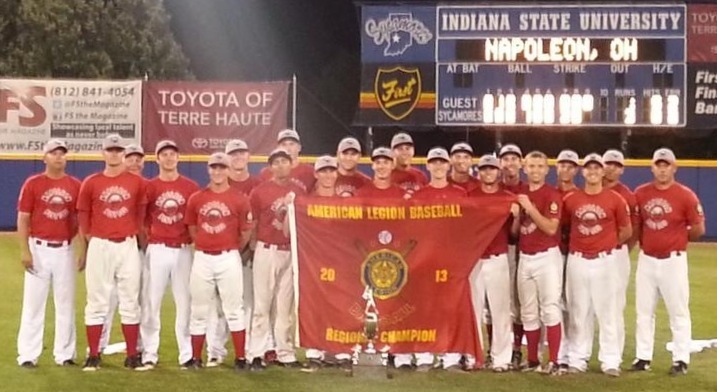 The 2011 Ohio State American Legion Baseball Champion Napoleon River Bandits were honored December 3rd, 2011 with a Championship Ring Ceremony. Assisting with the presentation were Larry Adams, Commander of Post 300, Randy Bachman, the River Bandits' General Manager, and Chad Billingsley, former River Bandit and current LA Dodger. After the presentation, Post 300 hosted a reception for all River Bandit alumni, during which two roster numbers were retired, # 10, in honor of former River Bandit Chris Carpenter's service in the MLB (Chicago Cubs), and # 30, in honor of former River Bandit Chad Reineke's service in the MLB (Houston Astros, San Diego Padres, Oakland Athletics, and Cincinnati Reds). We are excited to announce the schedule for 2011. Highlighting this summer will be a return trip to Alaska in early July! This marks the River Bandits fourth trip to The Last Frontier since 2002. While visiting we will be playing in three tournaments featuring teams from Alaska as well as the lower 48. These stops will include the Todd Ryan Memorial in Wasilla, the Bill Miller Big Fish Tournament in Kenai, and the BP Invitational in Anchorage. Opening Day is May 29 at beautiful Miami University against the Portland Rockets. We will also be playing in the Veterans Appreciation Tournament in Troy, Ohio and the Wolverine Invitational in Blissfield, MI. 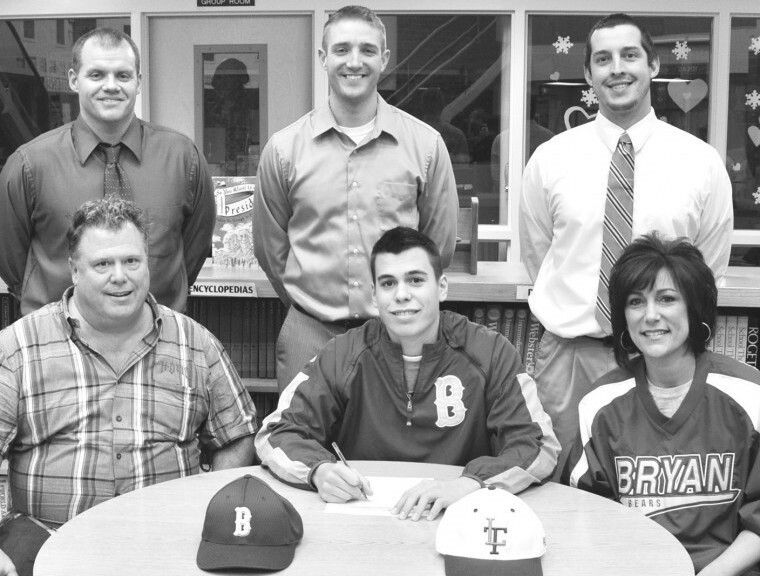 on joining the Toronto Blue Jays Organization as a free agent!! TO FORMER RIVER BANDIT AND BRYAN HIGH SCHOOL GRADUATE CHRIS CARPENTER ON HIS CALL UP BY THE CHICAGO CUBS! Congratulations to the Napoleon River Bandits on their 2011 Ohio State Championship. Napoleon defeated Pickerington in the championship game 8-7! 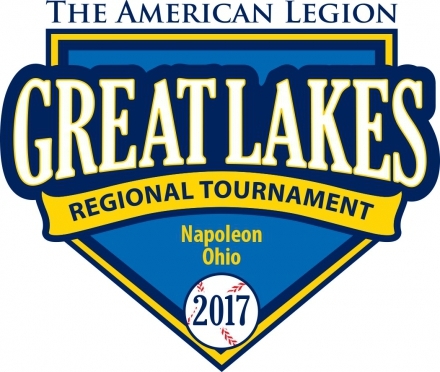 The Bandits will now move onto the Great Lakes Regional to be held August 4-8 in Midland, Michigan. We will open play on Thursday, August 4 against the Wisconsin state champions in the second game of the morning session. Please check here for further information related to radio and internet broadcasts!